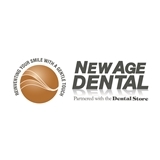 Dental Store North Shore/Dental Design (Skokie) - Book Appointment Online! Our Office Was Developed With You In Mind By combining a calm atmosphere with modern technology, we have created a place where our patients receive the quality dental care that they need and deserve. We design every aspect of your dental care in a precise, purposeful, and personal manner.